So many petrolheads take their cooling systems for granted which can have sudden and catastrophic effects if neglected. So sit back and prepare to potentially save your car with a little knowledge! Overheating; probably the most feared occurrence in a amateur motorist’s life. 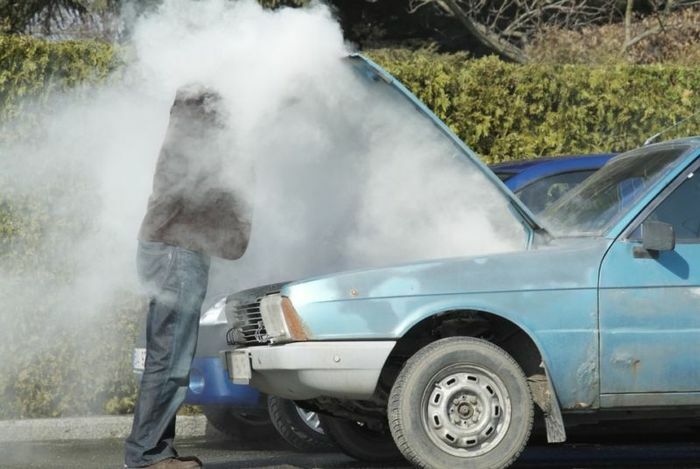 Tales of headgasket failure, clouds of steam and inevitable catastrophic engine failures surround the world of modified cars in particular, simply because people don’t pay as much attention to the cooling system as they should do. With the main use of the cooling system being to eradicate the heat produced by the combustion process within your engine, you first have to understand how much heat energy your car is producing. 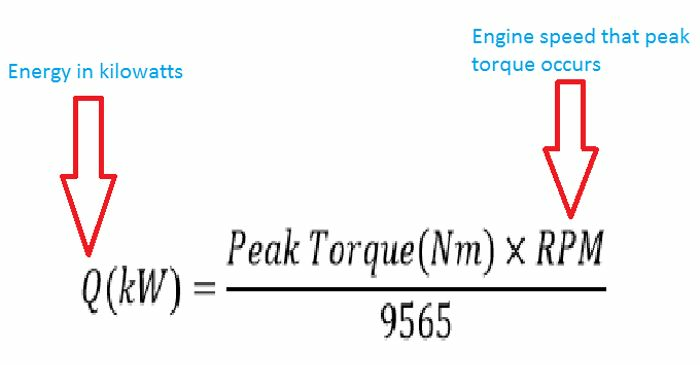 This can be done using a simple conversion from the amount of torque your engine produces and the rpm at which this peak torque occurs. 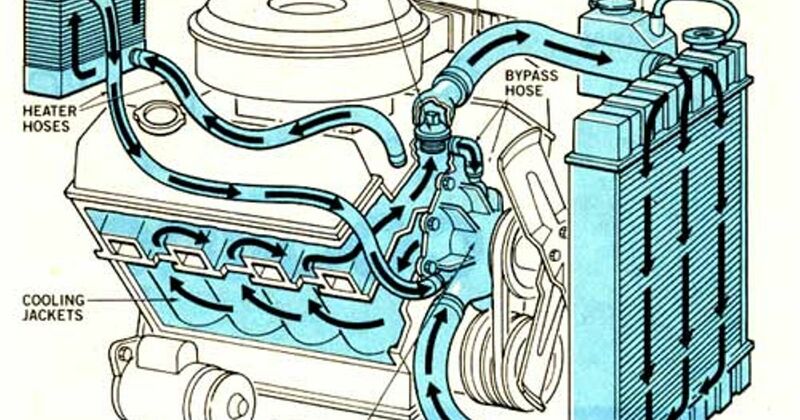 Next on the agenda is the overall efficiency of your engine. It can be assumed that a normal internal combustion engine is around up 33 per cent thermally efficient, meaning that around 67 per cent of the energy produced has to be dissipated to the surroundings, in this case through sound and heat energy. So multiply your total power output by 0.67 and boom, you have the quantity of wasted energy that needs to be taken away from your engine, most of it through the cooling system. 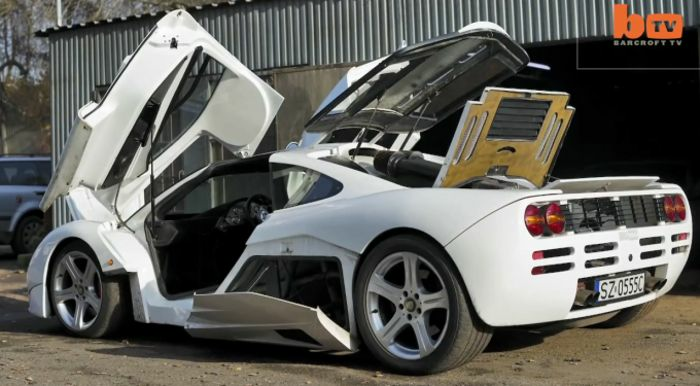 So for example, the McLaren F1 produces 410 Kilowatts at the wheels; that means that the BMW V12 has actually produced roughly 1230 Kilowatts in total but two-thirds of it has been wasted due to inherent inefficiencies. A simple subtraction shows that 820 Kilowatts therefore needs to be exhausted from the system to avoid overheating. This is generally done using heat exchangers, or to put that into automotive speak, radiators and intercoolers through something called heat transfer. Heat transfer is simply the movement of a heat energy within a fluid and in the case of cars, it is generally the movement of heat from a liquid (coolant) to a gas (air) through a heat exchanger. Using the following equation, you can take the excess energy and use it to calculate the size of the heat exchanger that you need in terms of its surface area. So the larger the surface area, the more potential there is for heat transfer. Heat exchangers themselves are designed to have extremely large surface area, using a vast combination of fins and tubes which allow free-flowing air to pass through them and sap heat away from the coolant which has been circulating throughout the powertrain. Heat exchangers are implemented in almost every cooling area of a car’s setup, be it the main radiator for the engine or smaller intercoolers used to take heat from oil and water used to cool and lubricate ancillary components like turbochargers and superchargers. Now, let’s try and shift the use of the term ‘radiator’ away from your automotive vocabulary. A radiator is something that you use to heat up a house, while a ‘heat exchanger’ is something used to dissipate unwanted heat energy to the surroundings to keep a fluid cool. Keeping your engine and powertrain cool is essential due to the damage that can occur when certain areas become too hot, especially gaskets and seals. All it takes is for one gasket to fail, water to enter somewhere it shouldn’t (like a cylinder) and you’ll be breaking your car for parts in no time. So considering car companies spend millions on research and development of their car’s cooling systems, precautions should be taken especially if you plan on modifying your car. As you can see from the previous equations, an increase in power means that a larger amount of heat energy needs to be dissipated to the surroundings, thus meaning that the cooling system must also be modified accordingly. 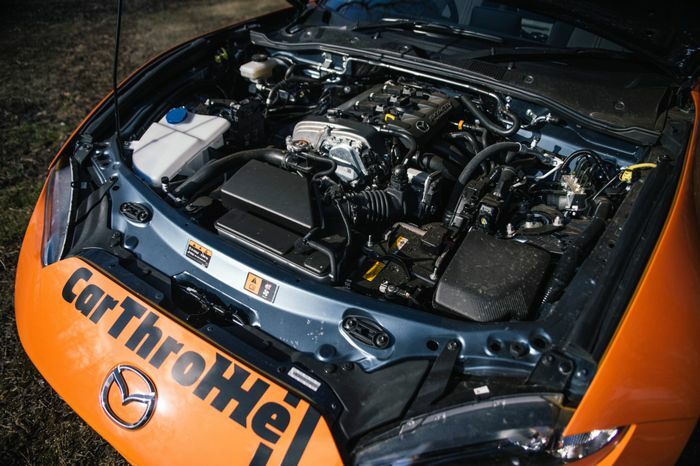 Far too many home mechanics seem to rely on the stock cooling system on their vehicle which can be a road to catastrophe if engine performance is pushed to the extreme. A rough surface area for a heat exchanger can be calculated for a predicted power output and it shouldn’t be too tough a task finding a suitable setup to cool the powertrain. Remember also that more power can be coaxed from an engine with an effective cooling system, seeing as the car can be tuned to a higher limit within the safety net of an efficient cooling system. 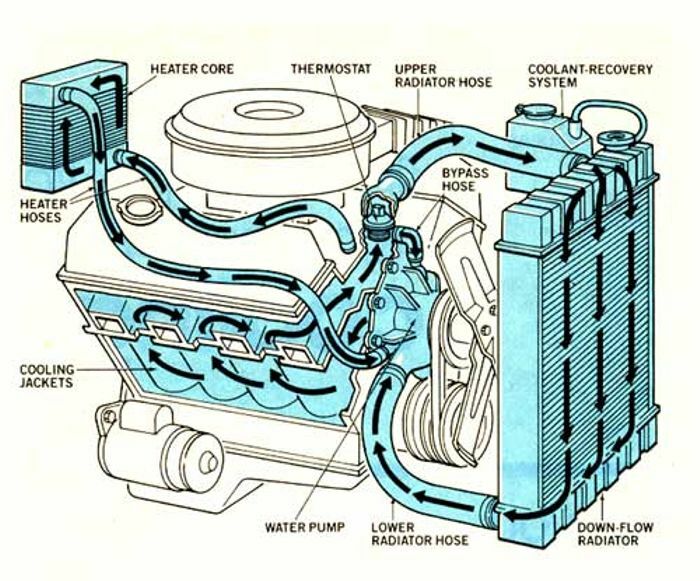 Other methods can be employed to enhance cooling, including the use of metal piping for coolant transportation instead of standard silicone piping, double-pass heat exchangers (which effectively have two radiators in one) and the use of specialised coolants that have a higher specific heat capacity meaning that they can absorb more heat energy that using simply water. There are so many more areas that could be talked about, like fans, influencing airflow and different heat exchanger configurations, so they will have to wait for another time. Until then, keep your coolant topped up, check your heat exchangers are in good working form and keep that temperature gauge in your peripheral vision at all times! Recommended car throttle shop Worldwide Shipping In The CT Shop Car Throttle Submit Your Videos To Get Featured On Our Social Channels Blog I've Started Looking At BMW E30s Again: Please Send Help Blog JLR’s Exciting New Inline-Six Is Better Late Than Never Blog Why A Brand New Interior Is The Processed Meat Of Car Smells Blog The New Ford Focus ST Has Advanced, But Has It Sacrificed Character? Blog I’m Driving A Cupra Ateca For Six Months: What Do You Want To Know? Blog The Grand Tour’s Emotional Latest Ep Reminds Us What We’ll Soon Be Missing Blog A Rush Towards EVs Could Be A Parts-Sharing Charisma Whitewash Blog What Next For The Manual Jaguar F-Type After America Turns Its Back?